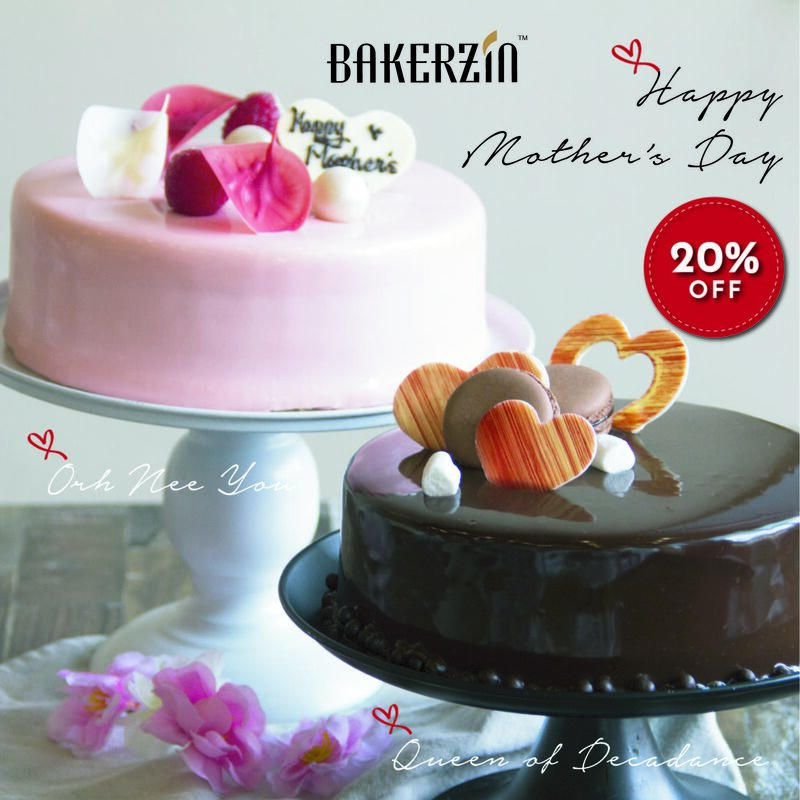 This Mother’s Day, Bakerzin Unveils New Sweet Treats for Mums! Friday | April 12, 2019	It’s the time of the year for us to celebrate and show our love for the superwoman in our lives! Say “Happy Mother’s Day” with sweet treats from Bakerzin – the new Orh Nee Mochi, and the Queen of Decadence! Surprise Mum with the new Orh Nee Mochi, looking pretty in pastel pink! Velvety sponge layers are layered with luxurious layers of violet yam cream, which is dotted with chewy mini mochi. The Orh Nee Mochi has a pink chocolate glazed finish, and beautiful rose petals and pearls add a final touch. This Mother’s Day exclusive goes for $6.80 per slice, and $39 per full cake (500g). The Queen of Decadence has also dressed up for the occasion! The popular chocolate cake bears its signature rich chocolate cream and chocolate sponge layers, made with premium Valrhona chocolate for the ultimate indulgence. ($40 for 500g full cake) These Mother’s Day Cakes will go on sale from 15 April onwards at all Bakerzin outlets across the island, and on the online platforms. Be the first to grab this irresistible deal, here's a one-time 20% off Mother's Day Cake* discount coupon for you. Download the above coupon now and claim in-store from 15 April onwards! *T&Cs apply.